I was looking through my Sinful Colors polishes the other day searching for some specific colors for someone when I came across this polish. I knew I would like it because of the metallic finish to it. I can’t believe that I haven’t worn this polish before. 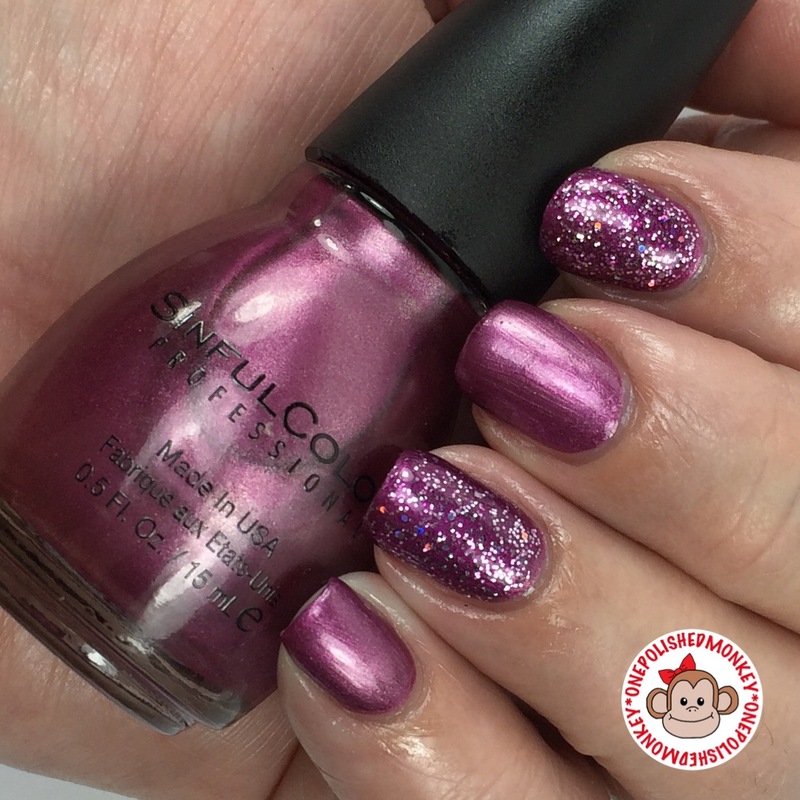 Sinful Colors Purple Haze is a dusty lilac metallic finish polish. Its right up my alley in terms of finish. This could have been left as a one coater but when the light shines from underneath I can see through it. Two coats were added and it was completely opaque. Like most metallic finishes you can see the brush strokes even after the polish has dried. Brush strokes don’t bother me to see. Sadly this polish is no longer in the stores so finding it may be difficult. Perhaps it can be found in someones destash. It was released in the late Summer/early Fall of 2015 in the Oh Snap collection. If memory serves me right there were a couple of collections out at this time. Sinful Colors I Miss You was used as an accent. This is a polish that definitely can be worn on its own. I beautiful purple jelly with iridescent and silver micro glitters. I’ve had this polish for awhile and can tell you that the glitters will mostly sink to the bottom. A Pro Shaker can be handy so your arm doesn’t fall off from shaking so much. 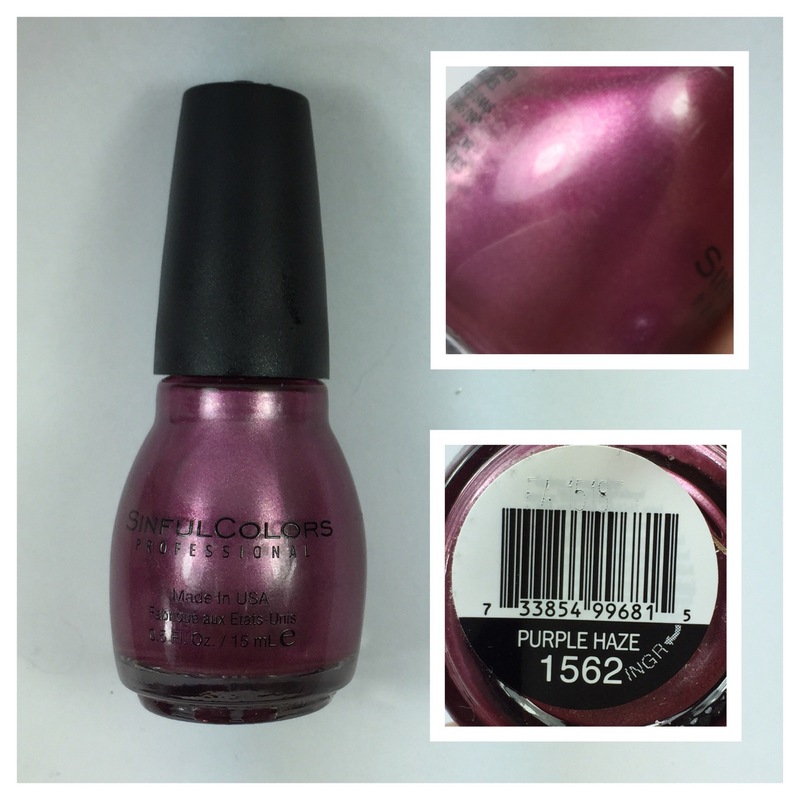 This polish was released Fall 2009 but the website shows that it should still be available. Application for both polishes went on smoothly. Purple Haze could run on you if you use too heavy of a hand. Clean up was bad either that I recall.